Resourceful Claudio Vieira de Oliveira knows more than a thing or two about overcoming adversity. 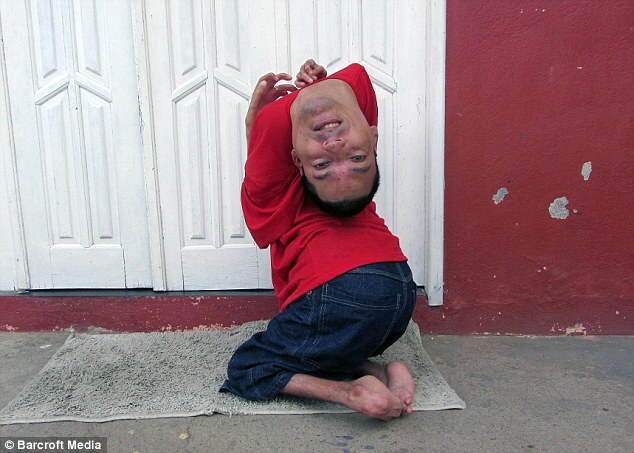 Medics told the now-37-year-old’s mother to let him starve to death after he was born with a rare condition of the joints that left him with severely deformed limbs … and an upside-down head. But despite his physical limitations, Claudio, from Monte Santo, Brazil, has defied doctors’ doubts to become an accountant and inspirational public speaker.